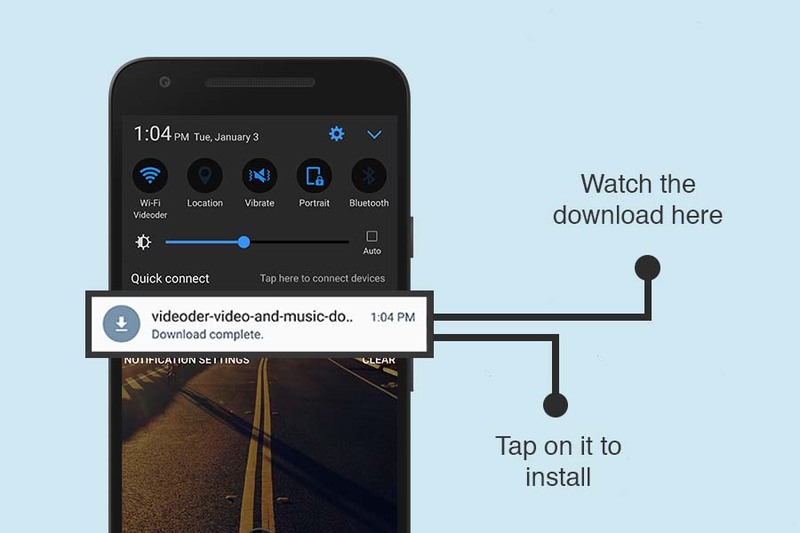 How to install Videoder on android phone? 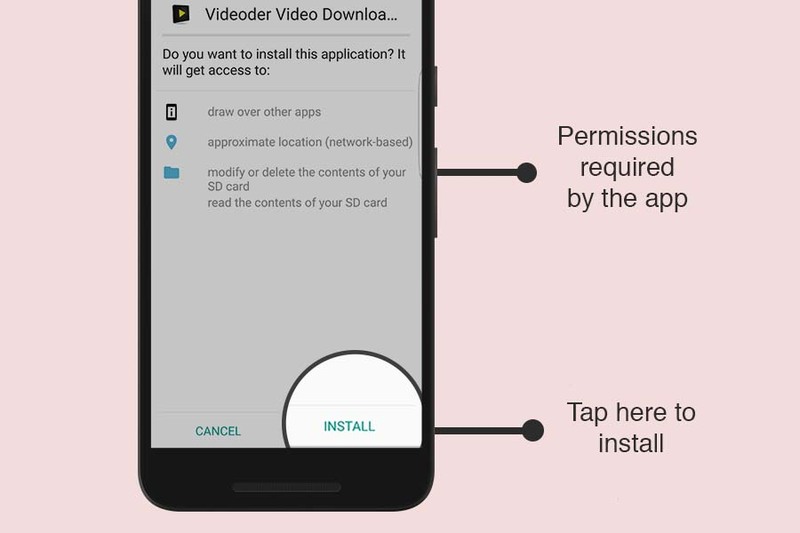 How to install Videoder on phone? Watch the download in the notifications panel. 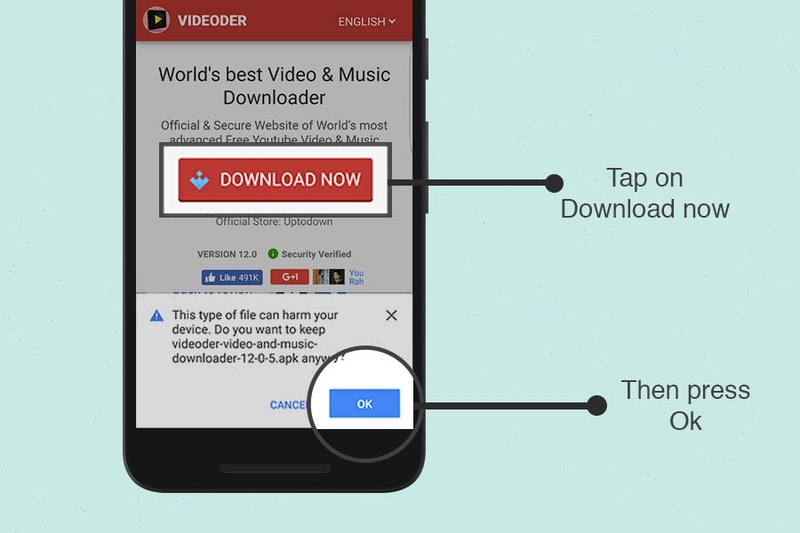 Once the download is complete tap on the completed notification to install . 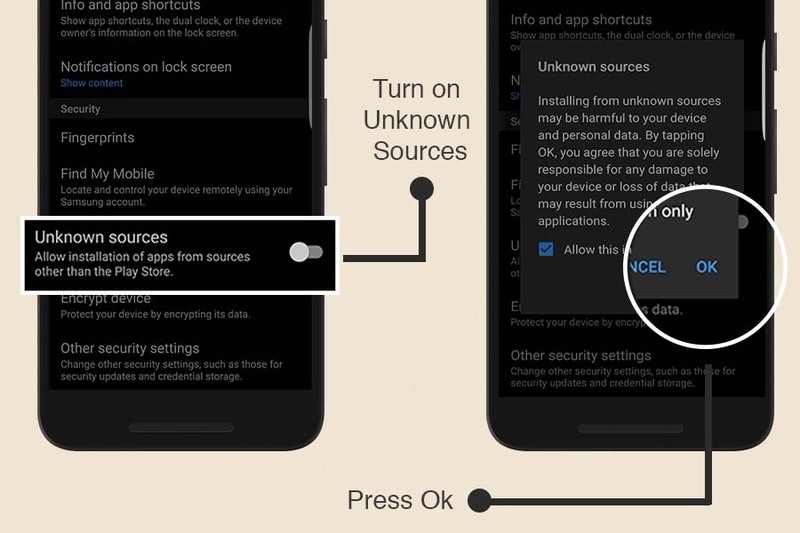 Your settings may not allow you to install apk outside Play Store. 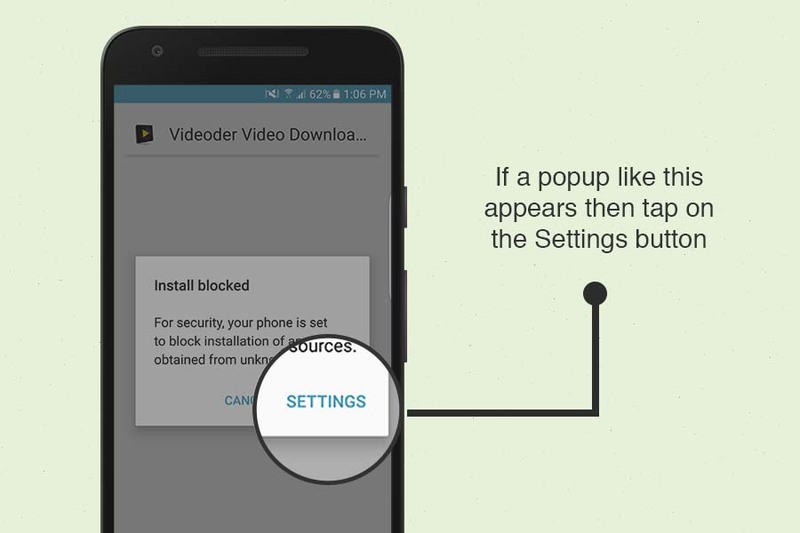 If you see the popup as shown below, tap on SETTINGS and follow next instructions. Go to ' Settings -> Security -> Unknown Sources ' and turn it on.